For those of you looking at buying a fedora, for those of you reading my listings wondering- what does this all mean? What part of the hat is he talking about? Here you are. 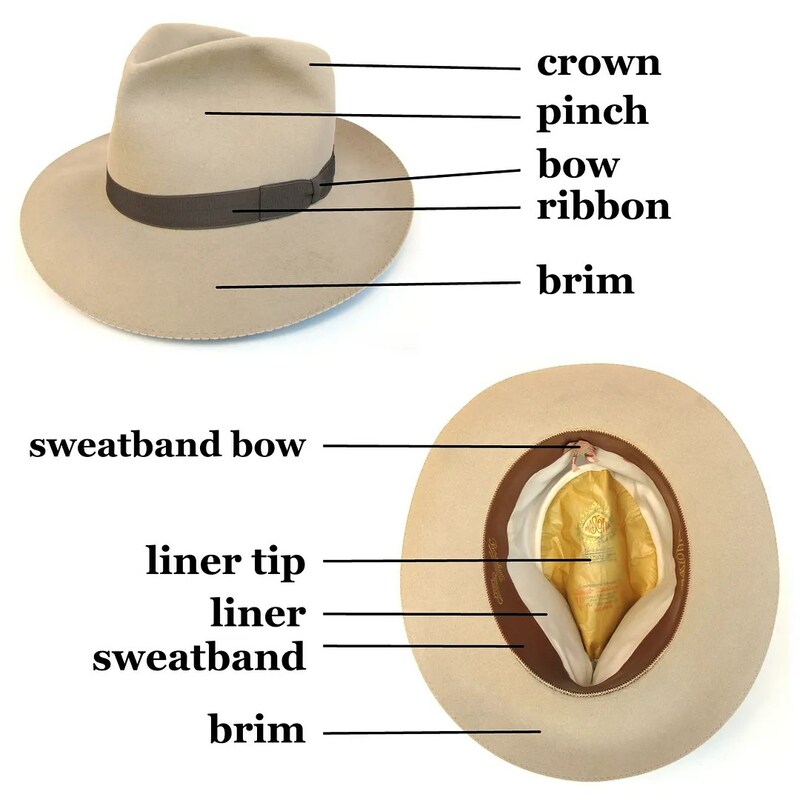 This entry was posted in Hats and tagged borsalino, bow, brim, brim break, crease, crown, crown tip, dictionary, fashion, fedora, felt hat, fur felt, guide, hat, leather, liner, liner tip, mens, pinch, ribbon, silk, style, sweatband, vintage by Spencer Stewart. Bookmark the permalink.